Welcome to http://www.bassettfurniture.com/. Please take a few minutes to review our Privacy Statement for this site. This Statement of Privacy applies only to the website of Bassett Furniture Industries (Bassett), located on the internet at www.bassettfurniture.com and governs data collection and usage. By using the Bassett website, you consent to the data practices described in this statement. 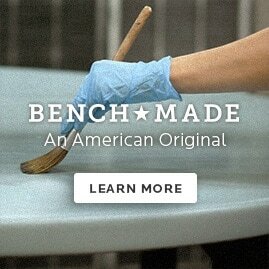 This is the website of Bassett Furniture Industries. For each visitor to our website, our web server automatically recognizes a visitors domain name, IP address, browser type, access times and referring website addresses. We also collect and store any information provided to us via forms or emails. Exception: The Consumer Product Safety Improvement Act of 2008 requires Bassett and other manufacturers of durable infant or toddler products to keep records of consumers who register these types of products with us. We will use the information provided to contact you only if there is a safety alert or recall for this product. We will not sell, rent, or share your personal information. Bassett collects and uses information to operate the Bassett Furniture Industries website and deliver the services you have requested. Any information provided to us via this site, including emails, can be used by Bassett for research, analysis, and internal statistics. Bassett has the appropriate security measures in place in our physical facilities to protect against the loss, misuse or alteration of information that we have collected from you at our site. We secure all personal information from unauthorized access, use or disclosure. Bassett secures the personally identifiable information you provide on computer servers in a controlled, secure environment, protected from unauthorized access, use or disclosure. From time to time there may be information on our Web Site or in our catalog that contains typographical errors, inaccuracies, or omissions that may relate to product descriptions, pricing, and availability. Bassett reserves the right to correct any errors, inaccuracies, or omissions and to update information at any time without prior notice. Bassett is dedicated to providing quality products at a competitive value. Pricing of products offered on this Web Site are Bassett Furniture’s suggested price, are valid only in the continental United States, and may vary in stores due to promotions, events, and or product merchandising. Pricing in the store will supersede pricing on the Website. Bassett Furniture reserves the right to update or modify these terms and conditions at any time without prior notice. Your use of our website following any such change constitutes your agreement to follow and be bound by the terms and conditions as changed. All of the Content you see on this website, including, for example, all of the page headers, images, illustrations, graphics, audio clips, video clips, and text, are subject to trademark, service mark, trade dress, copyright and/or other intellectual property rights or licenses held by Bassett Furniture, one of our affiliates or by third parties who have licensed their materials to Bassett Furniture. The entire content of this site is copyrighted as a collective work under U.S. copyright laws. The site is intended solely for personal, noncommercial use by the users of our site. You may download, print and store selected portions of the Content, provided you (1) only use these copies of the Content for your own personal, non-commercial use, (2) do not copy or post the Content on any network computer or broadcast the Content in any media, and (3) do not modify or alter the Content in any way, or delete or change any copyright or trademark notice. No right, title or interest in any downloaded materials is transferred to you as a result of any such downloading. Bassett Furniture reserves complete title and full intellectual property rights in any content you download from this website.